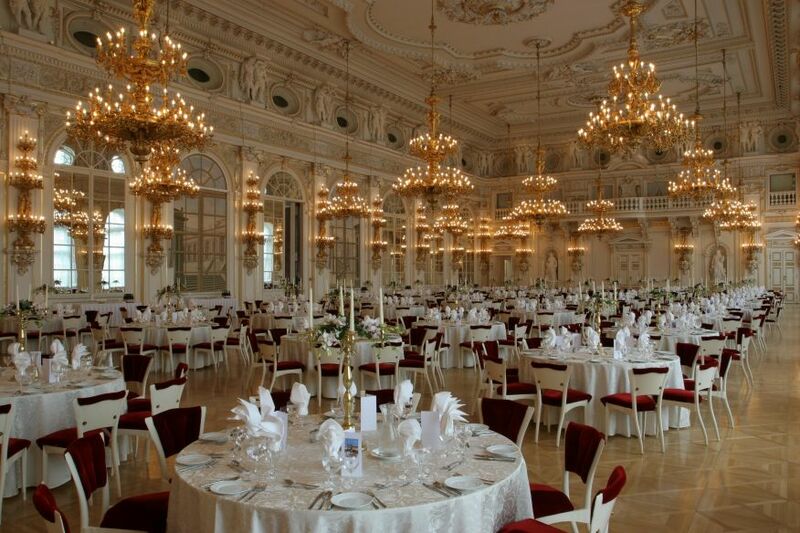 With over 700 unique venues throughout the Czech Republic, let Prague Eventery help you select the best one for your event. Whether you’re interested in classic monasteries or majestic palaces, this capital city is cluttered with venues of all different shapes and sizes. Below is a very small selection of 8 beautiful venues for hosting your event! 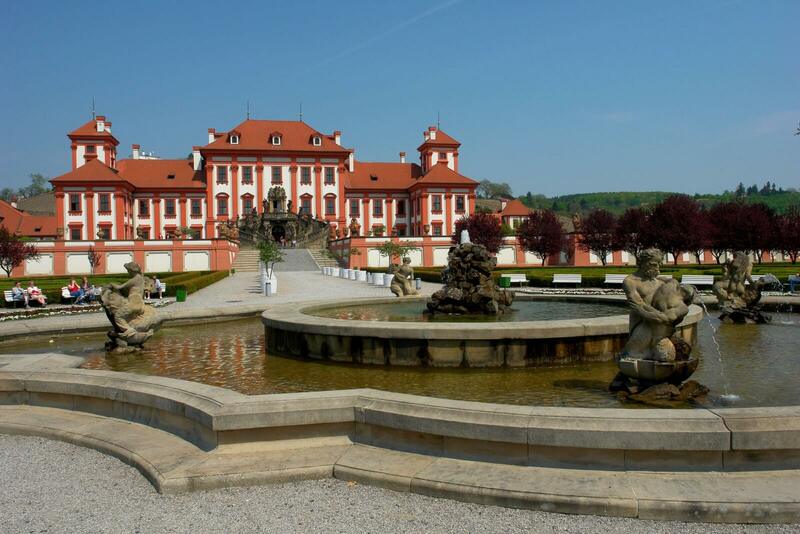 Renowned for being a significant example of 17th century Baroque architecture, this iconic chateau is located in Troja, a charming suburban area on the outer edge of Prague. Troja Chateau, also referred to as Troja Castle, was built by Vaclav Vojtech, count of Sternberk, in 1679 in order to obtain a noble title. The chateau resembles an Italian suburban villa and makes for a beautiful summer residence. Surrounded by gorgeous French gardens decorated with terracotta vases, stucco prospects and orangeries, many admire the artistic details of the landscape. When the Grand Bohemia Hotel opened its doors in 1927, the breathtaking beauty of the hotel’s Boccaccio Ballroom became widely admired and frequented by members of Prague’s high society. With galleries, private viewing boxes, an exotic wood dance floor, and a 4,000-piece chandelier made of Bohemian crystal, this venue is ideal for hosting exclusive parties with up to 140 people. Embrace the glittering details of this historical masterpiece during a seminar, conference, exhibition, cocktail party, reception or any other private event you choose. Within the walls of the iconic Prague Castle lies the Spanish Hall – ornamented with stucco decorations from the 17th century. The 43-meter-long, 21-meter-wide, and 12-meter-high Baroque ballroom provides the perfect back drop for any gala dinner or banquet. Built in the 17th century for Rudolf II to store and admire his beautiful statues and art collections, the Spanish Hall is filled with history. It has been admired not only by the Czech president, but also by various kings, queens and other world leaders since it was first built. The intricate 17th century embellishments and grandiose, royal atmosphere make Prague Castle’s Spanish Hall the premier Prague gala venue. 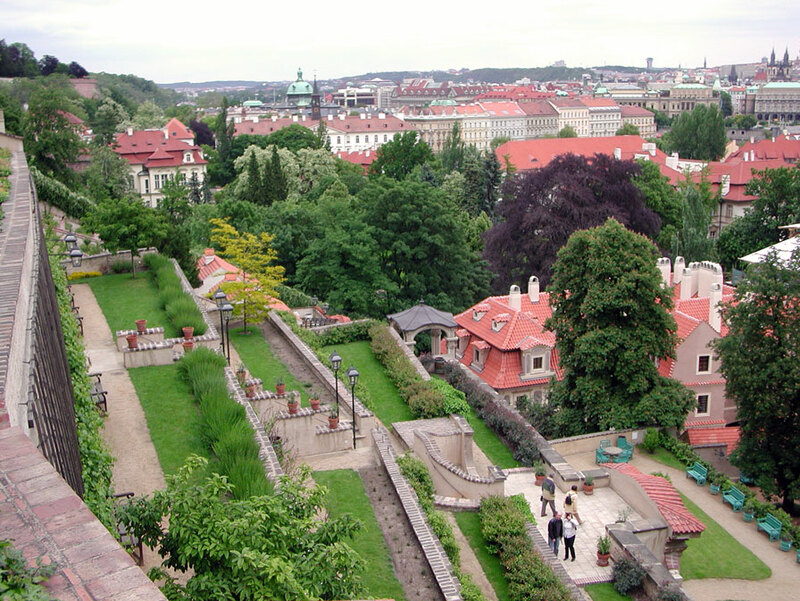 Rows of steep Baroque gardens rest nestled into the hillside on the southern slope below Prague Castle. With lots of shady areas to rest and enjoy the flourishing greenery and incredible city views, these Ledeburg Gardens are a perfect spot for events with up to 1000 people. The five gardens were originally apart of vineyards or other aristocratic palaces. Since their restoration by president Vaclav Havel, the gardens are still separate but are now all interconnected. With climbing roses, vast vineyards, fruit trees and artful landscaping, the picturesque gardens are an ideal place for socializing, wandering and taking in Prague’s magical beauty. Resting on the Petrin hillside slope, these magnificent gardens are a gem of European importance due to the originality of their design. The garden spreads over four terraced platform is that are interconnected with staircases. 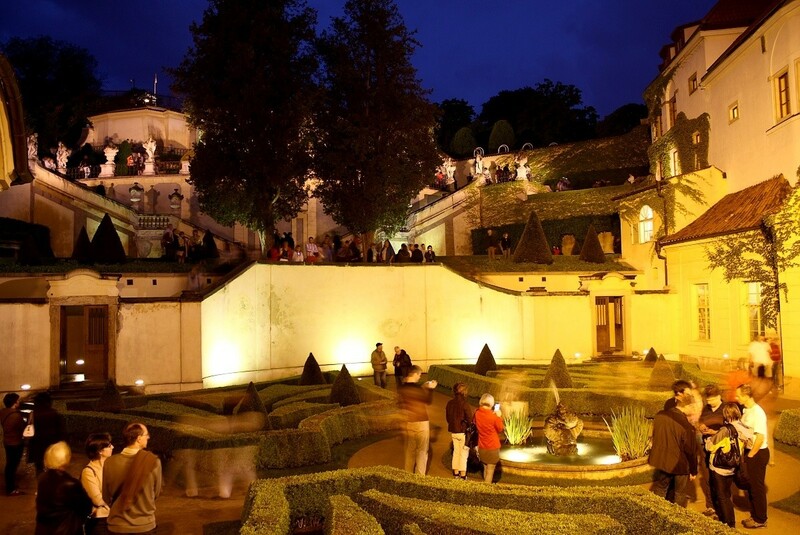 The lowest terrace has a circular fountain located in the center while the top terrace contains a magical pavilion overlooking a beautiful view of the Lesser Town rooftops on Prague Castle and the Cathedral of St. Nicholas. The staircases between the terraces are decorated with handmade vases and statues of ancient gods. The garden’s clever location leaves the garden completely hidden from the street – making it a perfect spot for a romantic affair or an outdoor party. Vrtba Garden is an enchanting location for a variety of events. Whether you’re interested in a secret garden getaway or a grand celebration with up to 400 guests, these gardens add plenty of glamour and charm to any event. Built in the 13th century, this Early Gothic house “At the Stone Bell” is one of the most fascinating medieval buildings in Prague. The house is situated in the center of the city in Old Town Square. The house was most likely built for the royal family at the time and its incredible gothic frontage allows us to believe that it was once considered a palace. It contains two chapels, various detailed gothic components and intricate wall paintings that have been admired by royalty from all over the world. This three function room house makes it an ideal gala venue for up to 70 guests. Appreciate the architectural history of the Stone Bell House while enjoying some of the most impressionable views of Old Town Square at this venue. The National House of Vinohrady is a prestigious place optimal for hosting and organizing social and cultural events. With three large halls and five lounges, the grandeur of the National House is great for concerts, conferences and galas with up to 750 people. This neo-Renaissance building exemplifies the 19th century’s architectural historicism. The front entrance is decorated with allegorical sculptures of enthusiasm and nobility of mind. The center and the largest Majakovskij Auditorium was named after Soviet poet Vladimir Majakovskij to commemorate his visit to the National House when he successfully recited his verses in 1927. Decorated with spectacular murals and valuable 19th century chandeliers, this hall is can be enjoyed from either the main auditorium, the increased auditorium or the balcony. The versatility of the National House makes it not only great for conferences and galas alike. The Municipal House is considered the most spectacular example of Art Nouveau architecture in Prague. Located in Namesti Republiky, the house encompasses artistic quality in all its craft details and sculptures. 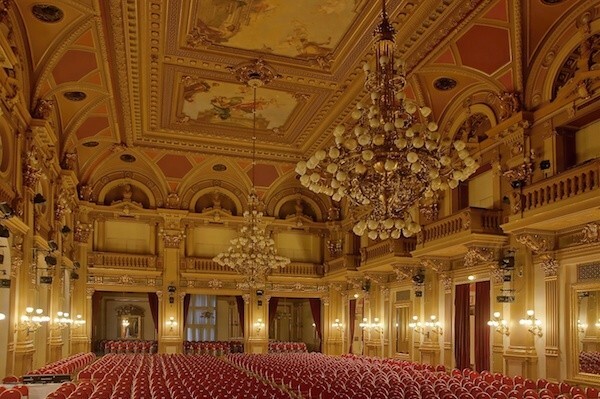 The renowned Smetana Hall serves as the principal concert hall and gala venue in Prague. 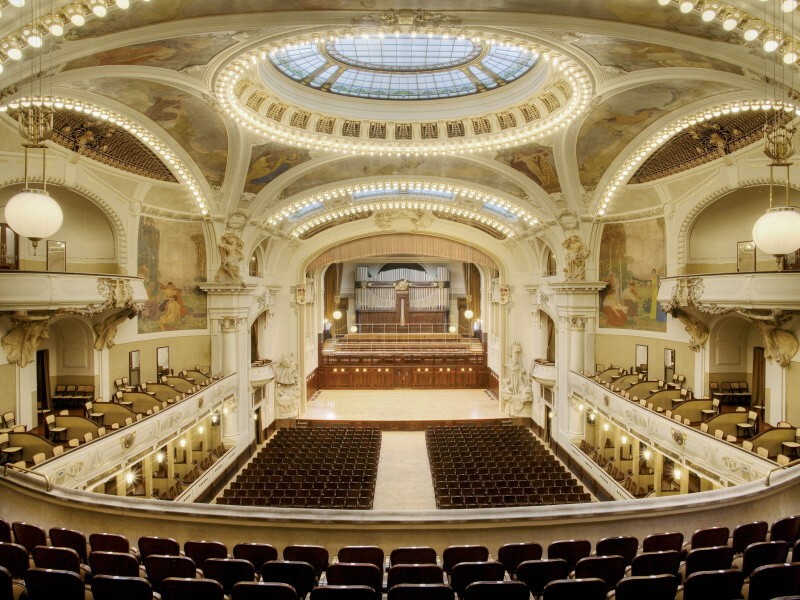 With its grandiose glass dome, figural ceiling paintings and massive pipe organ, Smetana Hall has been a regular point for some of the most important concerts of the Prague Spring since 1946. 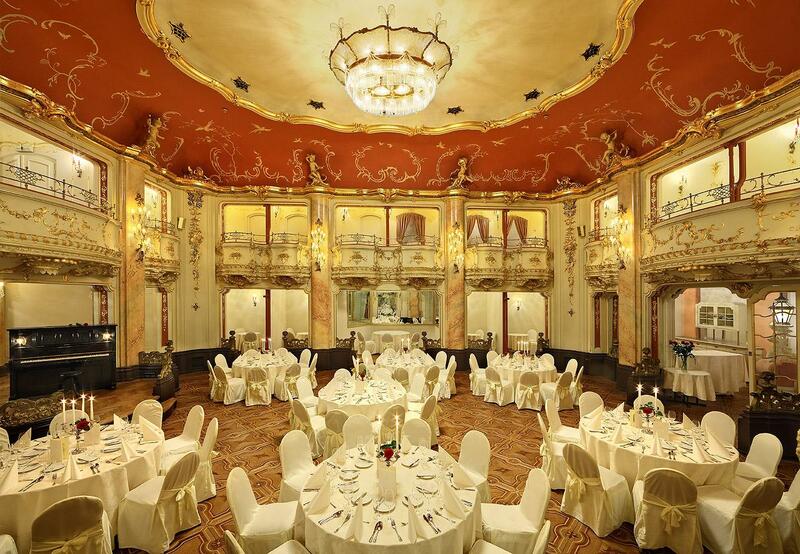 With so many grand halls, rooms and restaurants the Municipal House offers a myriad of multifunctional layouts to host all sorts of events with up to 700 people. Enjoy splendor and vastness of the Municipal House for your next great conference or gala.